This is true whether you’re talking about taxpayers being forced to fund high-priced weaponry that will be used against us, endless wars that do little for our safety or our freedoms, or bloated government agencies such as the National Security Agency with its secret budgets, covert agendas, and clandestine activities. Rubbing salt in the wound, even monetary awards in lawsuits against government officials who are found guilty of wrongdoing are paid by the taxpayer. Meanwhile, the three branches of government (Executive, Legislative, and Judicial) and the agencies under their command—Defense, Commerce, Education, Homeland Security, Justice, Treasury, etc.—have switched their allegiance to the Corporate State with its unassailable pursuit of profit at all costs and by any means possible. As a result, we are now ruled by a government consumed with squeezing every last penny out of the population and seemingly unconcerned if essential freedoms are trampled in the process. In the prisons: States now have quotas to meet for how many Americans go to jail. Increasing numbers of states have contracted to keep their prisons at 90% to 100% capacity. This profit-driven form of mass punishment has, in turn, given rise to a $70 billion private prison industry that relies on the complicity of state governments to keep the money flowing and their privately run prisons full, “regardless of whether a crime was rising or falling.” As Mother Jones reports, “private prison companies have supported and helped write … laws that drive up prison populations. Their livelihoods depend on towns, cities, and states sending more people to prison and keeping them there.” Private prisons are also doling out harsher punishments for infractions by inmates in order to keep them locked up longer in order to “boost profits” at taxpayer expense. All the while, the prisoners are being forced to provide cheap labor for private corporations. No wonder the United States has the largest prison population in the world at a time when violent crime is at an all-time low. 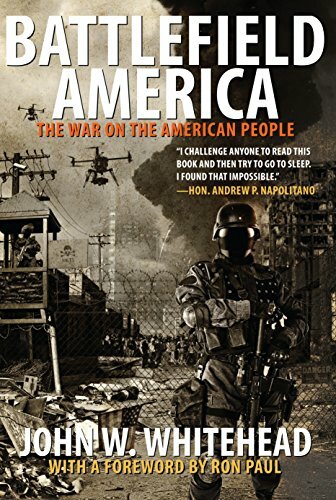 In the endless wars abroad: Fueled by the profit-driven military industrial complex, the government’s endless wars are wreaking havoc on our communities, our budget, and our police forces. Having been co-opted by greedy defense contractors, corrupt politicians and incompetent government officials, America’s expanding military empire is bleeding the country dry at a rate of more than $57 million an hour, and that’s just the budget for the Dept. of Defense for 2016, with its 1000-plus U.S. military bases spread around the globe. Incredibly, although the U.S. constitutes only 5% of the world’s population, America boasts almost 50% of the world’s total military expenditure, spending more on the military than the next 19 biggest spending nations combined. In fact, the Pentagon spends more on war than all 50 states combined spend on health, education, welfare, and safety. In the form of militarized police: The Department of Homeland Security routinely hands out six-figure grants to enable local municipalities to purchase military-style vehicles, as well as a veritable war chest of weaponry, ranging from tactical vests, bomb-disarming robots, assault weapons and combat uniforms. This rise in military equipment purchases funded by the DHS has, according to analysts Andrew Becker and G.W. Schulz, “paralleled an apparent increase in local SWAT teams.” The end result? 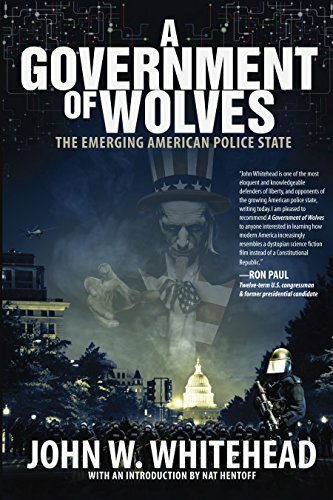 An explosive growth in the use of SWAT teams for otherwise routine police matters, an increased tendency on the part of police to shoot first and ask questions later, and an overall mindset within police forces that they are at war—and the citizenry are the enemy combatants. Over 80,000 SWAT team raids are conducted on American homes and businesses each year. Moreover, government-funded military-style training drills continue to take place in cities across the country. These Urban Shield exercises elaborately staged with their own set of professionally trained Crisis Actors playing the parts of shooters, bystanders and victims, fool law enforcement officials, students, teachers, bystanders and the media into thinking it’s a real crisis. Adding injury to the ongoing insult of having our tax dollars misused and our so-called representatives bought and paid for by the moneyed elite, the government then turns around and uses the money we earn with our blood, sweat, and tears to target, imprison and entrap us, in the form of militarized police, surveillance cameras, private prisons, license plate readers, drones, and cell phone tracking technology. Unfortunately, in the 200-plus years since we established our own government, we’ve let bankers, turncoats, and number-crunching bureaucrats muddy the waters and pilfer the accounts to such an extent that we’re back where we started.